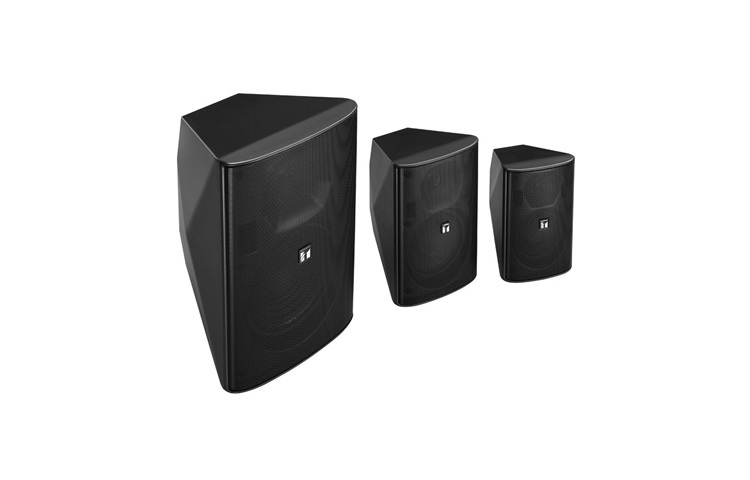 Two-way bass-reflex design, high impact polystyrene enclosure with a 4″, 5″ or 8″ low-frequency driver and dome tweeter. For challenging acoustic environments, users can easily reduce the high frequency dispersion of F-2000 models by simply installing an included horn adapter. Model options include 70.7V transformer or low impedance, black or white enclosures and indoor or weather-resistant versions. All models include a versatile wall/ceiling-mount bracket for easy installation.